Welcome to Cheers Unlimited! We look forward to the opportunity to meet you. We are passionate about providing an amazing experience for all of our athletes and their families. 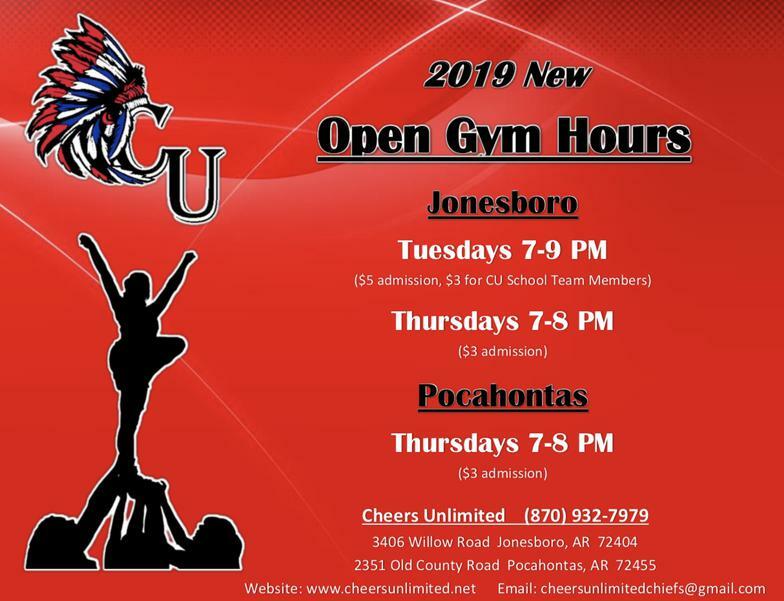 So come EXPERIENCE THE DIFFERENCE and join the CU Family! 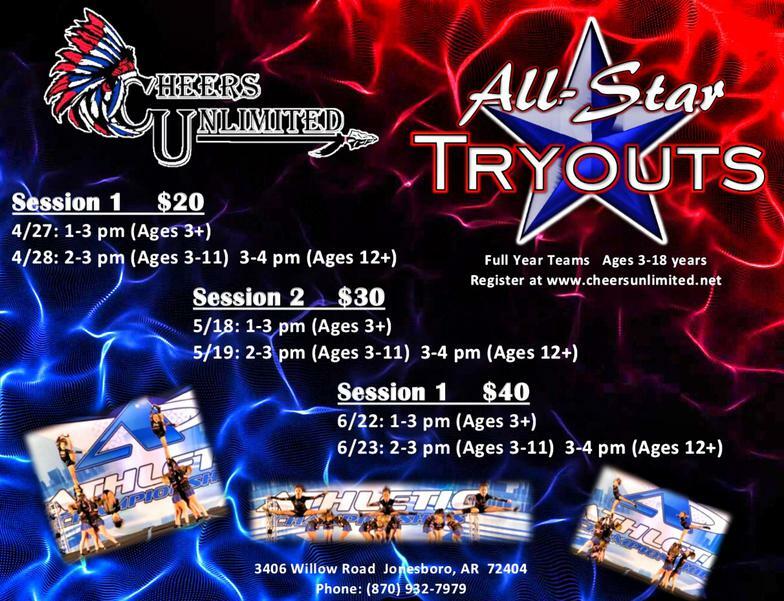 Rather your looking for a fun activity or you're interested in the competitive side of cheer, we have just what your looking for. We are currently accepting new students, so now is a great time to get started! Thank You to the following businesses for supporting a member of one of our All-Star teams! Select "Classes" then choose your Session.